The trailer of legendary Indian cricketer Sachin Tendulkar's biopic is released. The film, titled Sachin A Billion Dreams is largely based on the cricket and personal life of the former Indian cricketer. Directed by James Erskine and jointly produced by Ravi Bhagchandka and Carnival Motion Pictures under 200 NotOut Productions, the film stars Sachin Tendulkar, his son Arjun Tendulkar and former Indian cricketer and Sachin's opening partner Virender Sehwag. The film also stars Mayuresh Pem as Sachin's brother Nitin Tendulkar. 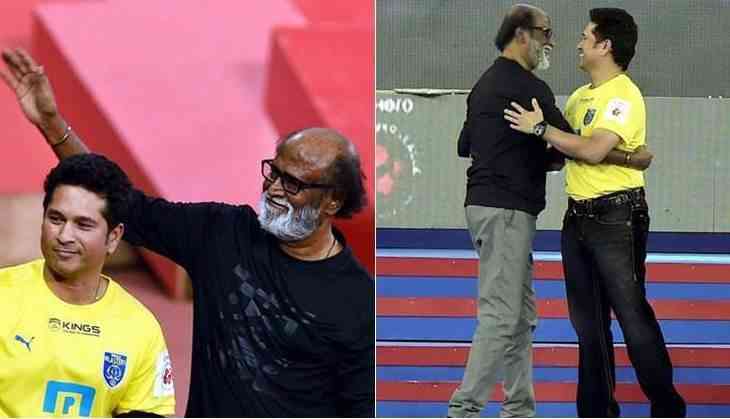 Interestingly, the two-minute and one-second long trailer has caught the attention of legendary actor Rajinikanth and he took to Twitter to wish the Sachin biopic good luck. Dear @sachin_rt , my best wishes for the success of 'Sachin ... a billion dreams'. God bless, Rajinikanth tweeted. The music of Sachin A Billion Dreams has been composed by AR Rahman. The film is slated to release on May 26.